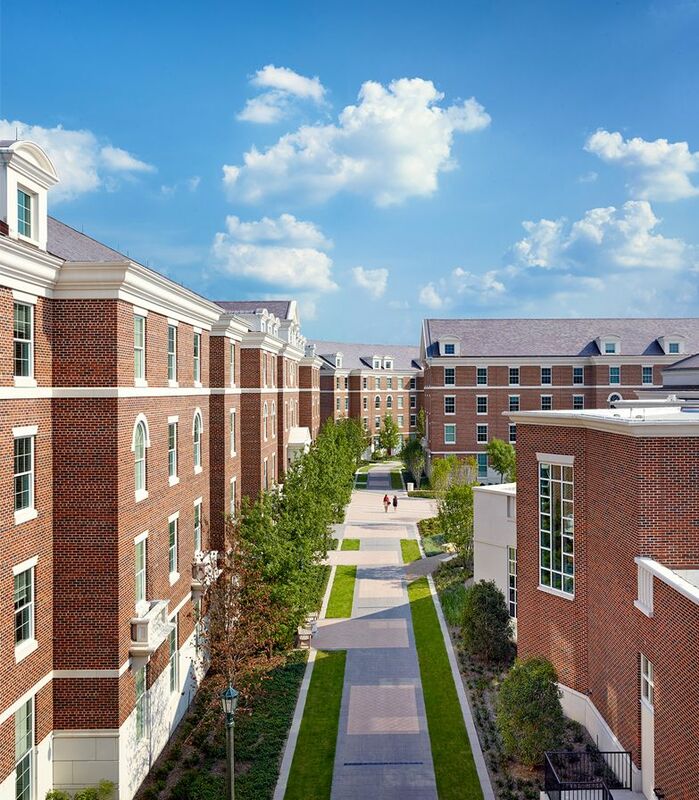 With 1,250 beds, a 500-seat dining commons and an 800-car parking garage, the Commons features five new residence halls with a residential college approach. 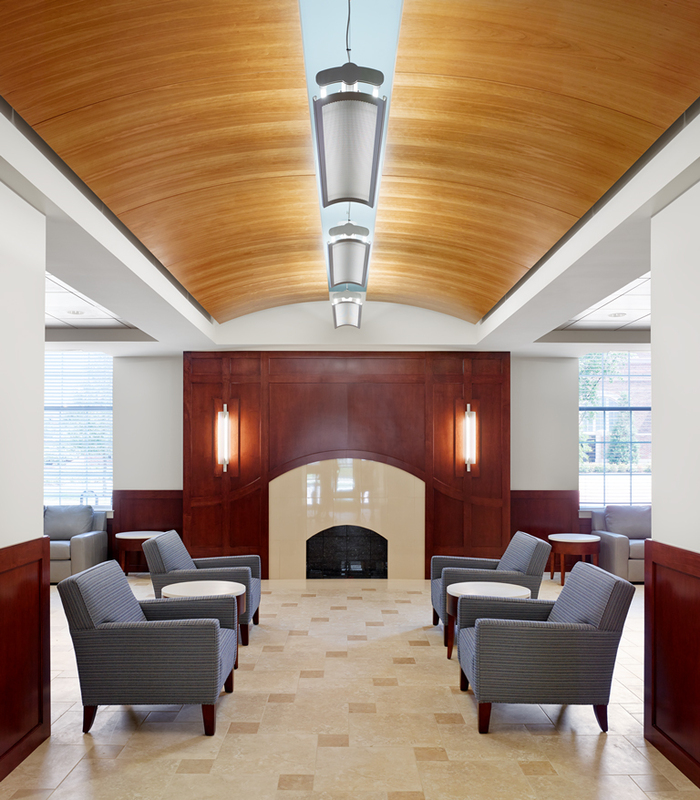 The residence halls include a faculty residence, classrooms and seminar rooms; expanding opportunities for learning, informal interactions with professors and mentoring. 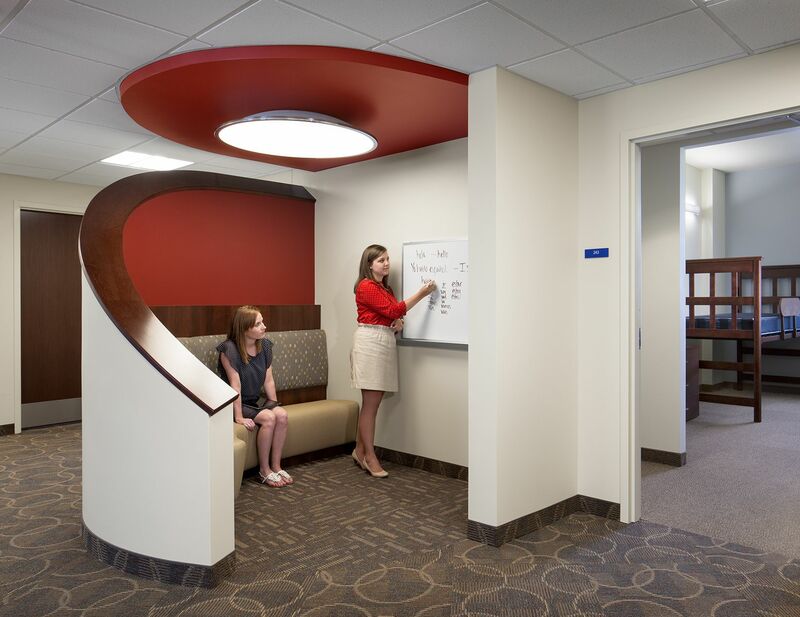 The halls also include a game room, a naturally lit laundry and study area, a learning space, and a kitchenette with full-size refrigerator and food preparation area. Each building offers different floor plans, colors, and views, and hosts activities to create community among residents. 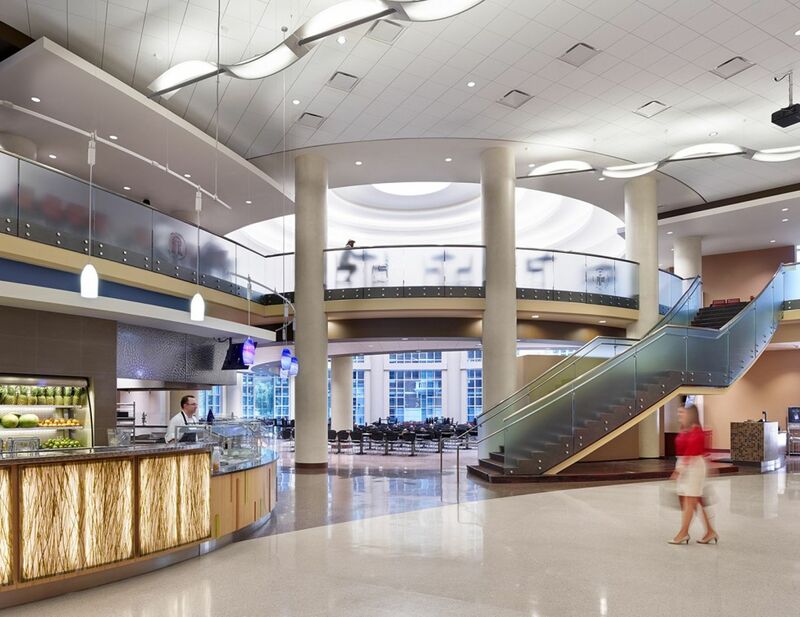 The 29,658 SF dining commons features a naturally lit rotunda with 250 seats that can be closed off for private dinners. 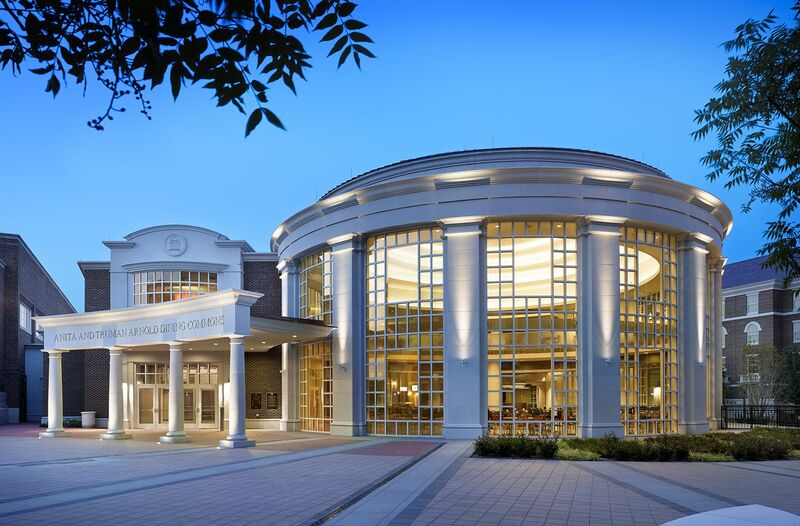 The two-story dome tops a glass curtain wall of high performance iPad controlled electrochromic glass allowing students and faculty to sit comfortably by the windows in the hot Texas sun. The nine-acre Commons also includes the Mustang Parking Center and offers the only resident-only parking garage on campus. The six-level parking center accommodates 800 cars for the residents living in the Commons. 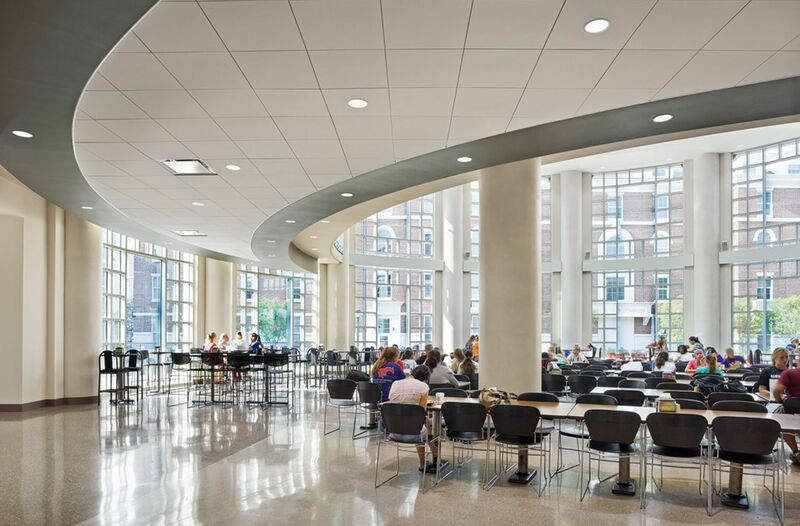 Designed with sustainability in mind, all five residence halls and the dining commons received LEED Gold certification. The project pairs a detailed Georgian-style architecture with high-quality materials, including slate roofing, brick and high-performance glass. 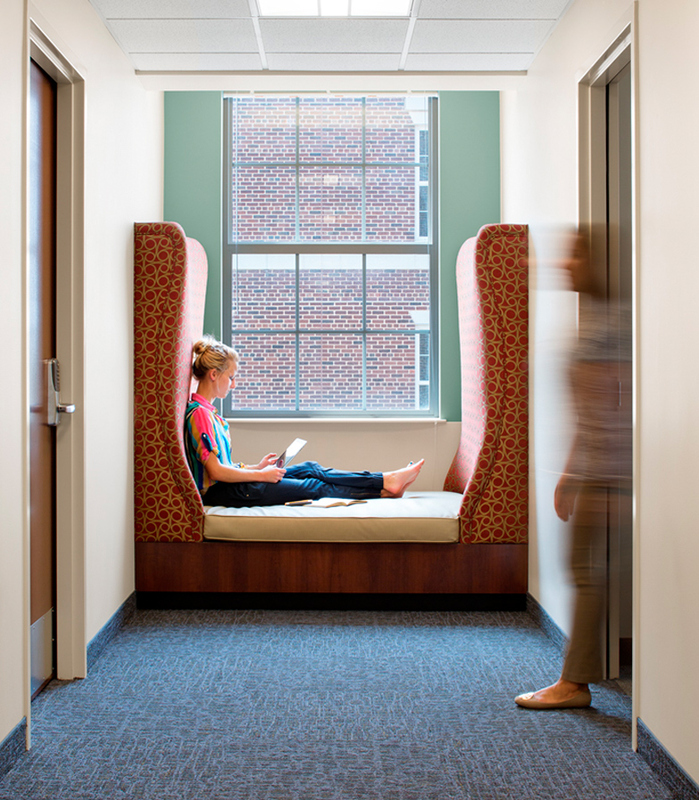 A true living-learning community has been created and will increase student retention and offer an extension of learning in residential life.